At the beginning of the 13th century, King Philippe Auguste enclosed the royal hunting grounds, which would become the Bois de Vincennes, with a 12 kilometer wall. Louis XV later allowed the public to enter the area by creating six doors in the wall. Originally a hunting preserve for the kings of France, it became a military exercise area after the French Revolution. In 1860, Napoléon III ceded the Bois de Vincennes to the city so that it could by transformed into a park which would be symmetrical to the Bois de Bologne, located West of Paris. 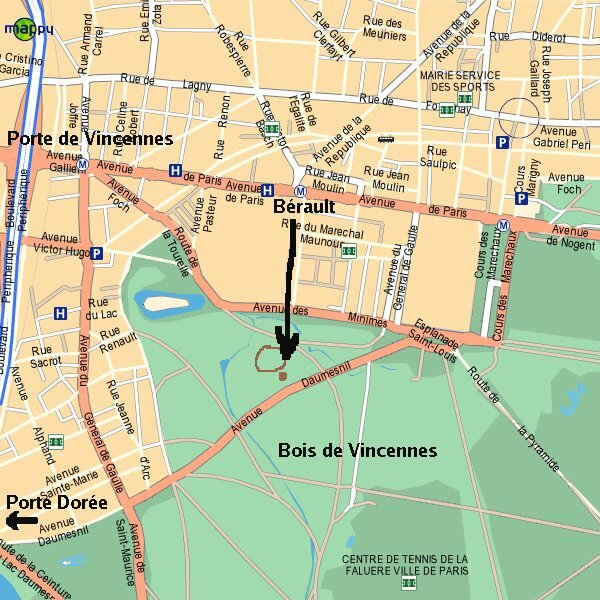 The Bois de Vincennes was officially annexed by the city of Paris in 1929, and was incorporated into the 12ème arrondissement.